I don’t do a lot of book reviews. In fact, I never do book reviews. 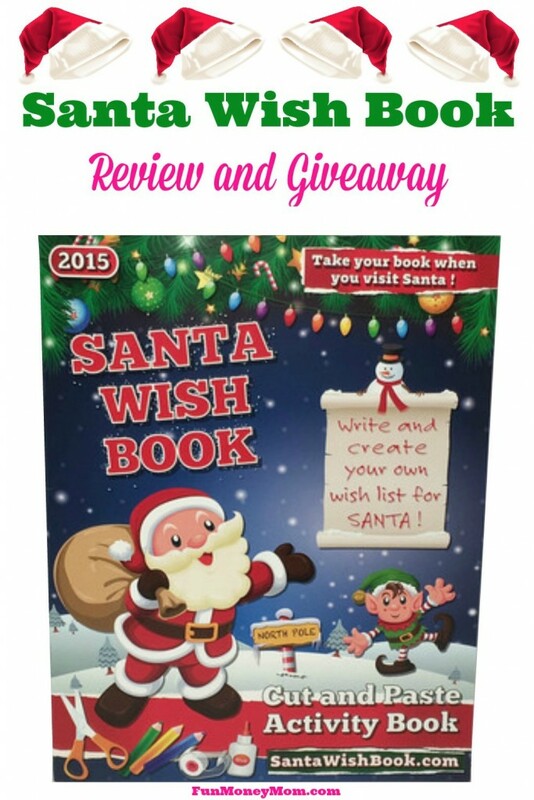 However, when I got an e-mail telling me about this new Santa Wish Book, I decided it was way too cute not to share! First of all, let me clarify that this is not an actual storybook. 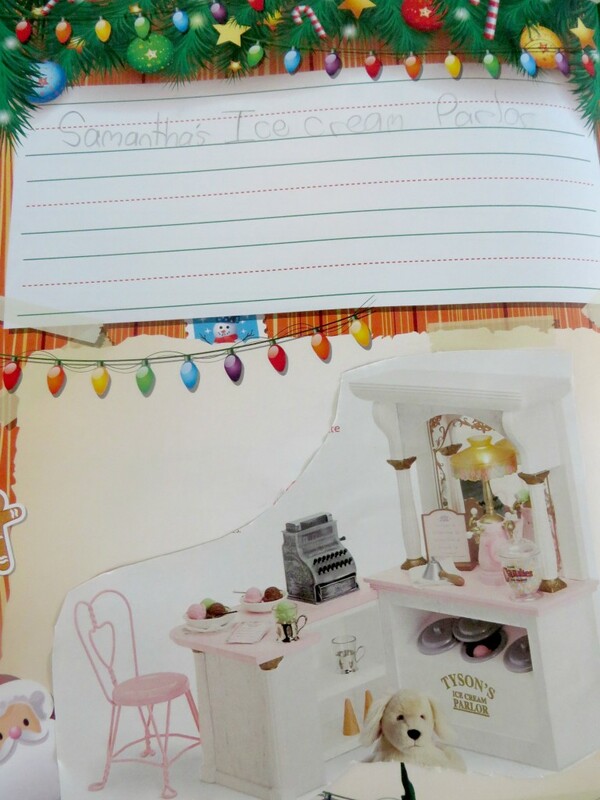 This is a book your children actually create to share all the things they want for Christmas. When I told my girls about it, they couldn’t wait to check the mailbox every day to see if it had come yet! Once it did, they couldn’t wait to get started! The only complaint? My 8 year old started looking through the book and in her most horrified voice announced “MOMMY, THERE’S ONLY 18 PAGES!! !” Hmmm…is she getting a little spoiled? 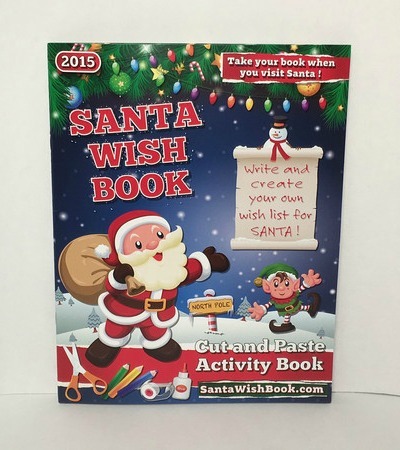 With the Santa Wish Book, kids write and create their own special wish list for Santa. Save those Target and Toys R Us toy catalogs ahead of time because the kids won’t want to wait once their book arrives. 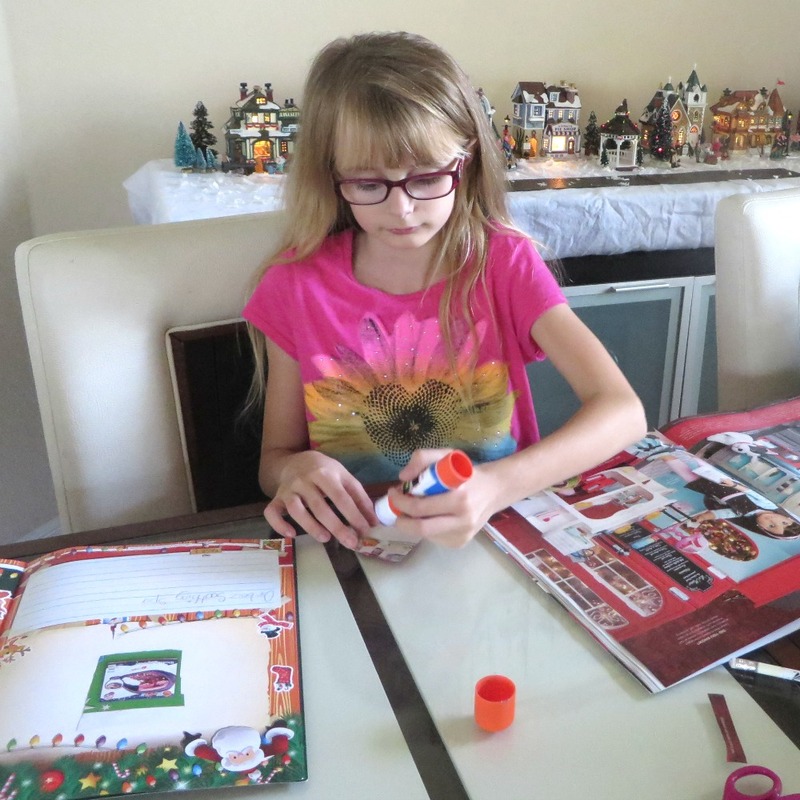 My girls immediately got to work cutting out what they wanted. I let Keira use scissors for the first time which was a bit scary. Fortunately there were no unexpected bang trims! 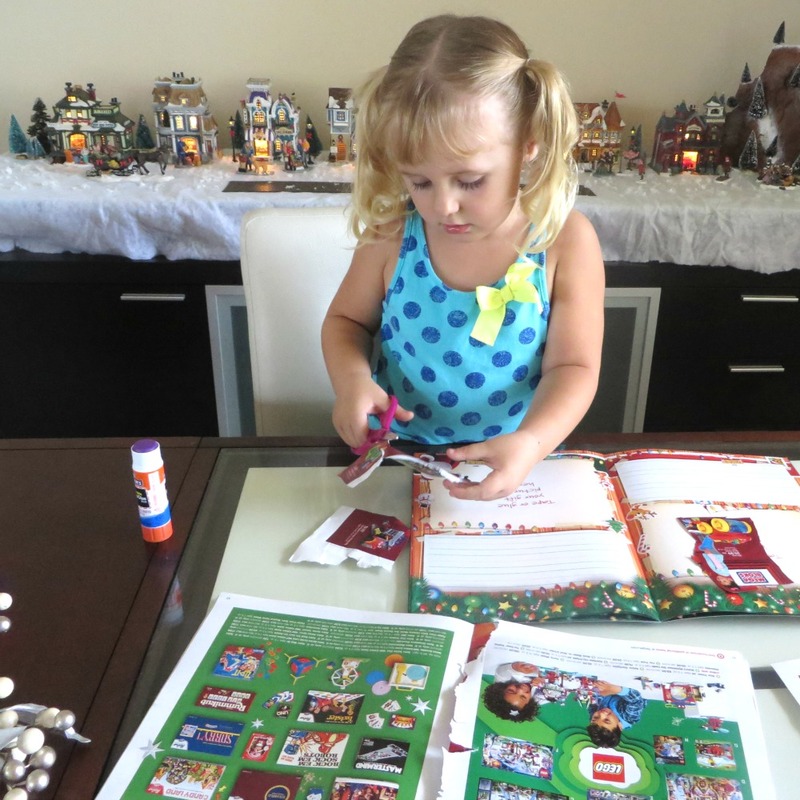 Next they glued their toy pictures into the book. Finally, they wrote what they wanted (well, Ashling did…Keira can’t quite write yet. I love that kids can practice their writing without any clue that they’re doing something educational! 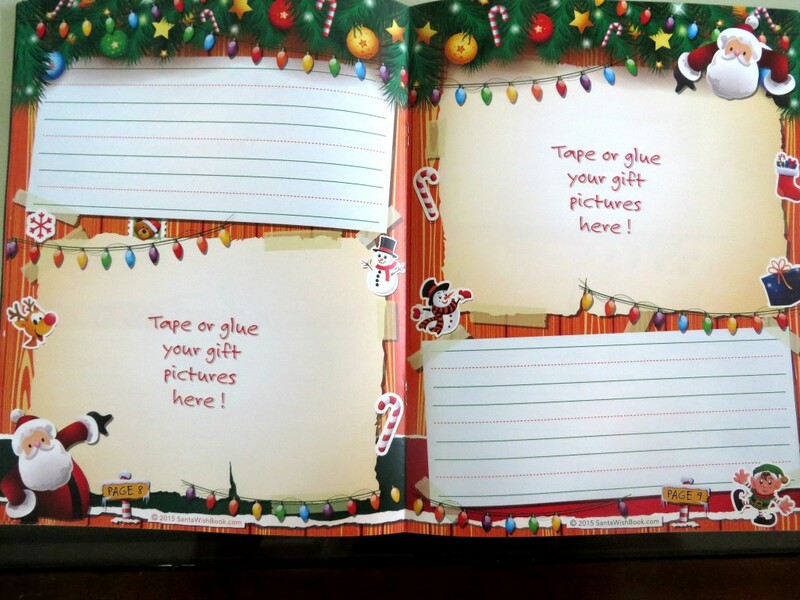 For the younger children, there’s a letter chart and a number chart for them to refer to if they need a little help. Of course, Keira is a little young for the writing part but her big sister filled up the pages in no time! We can’t wait to bring these books with us when we go visit Santa! This is great for those shy kids that talk your ear off in the car on the way to see Santa but won’t say a thing once they get within a mile of the big guy. What a fun book! My two boys (ages 3 and 5) are at the age now where Santa is a huge thing. We have not started the gift list idea yet for our younger son, but our older boys has been asking for a firetruck. He loves anything to do with fire men right now. I think little boys have been asking for firetrucks since the very first one was created…LOL! 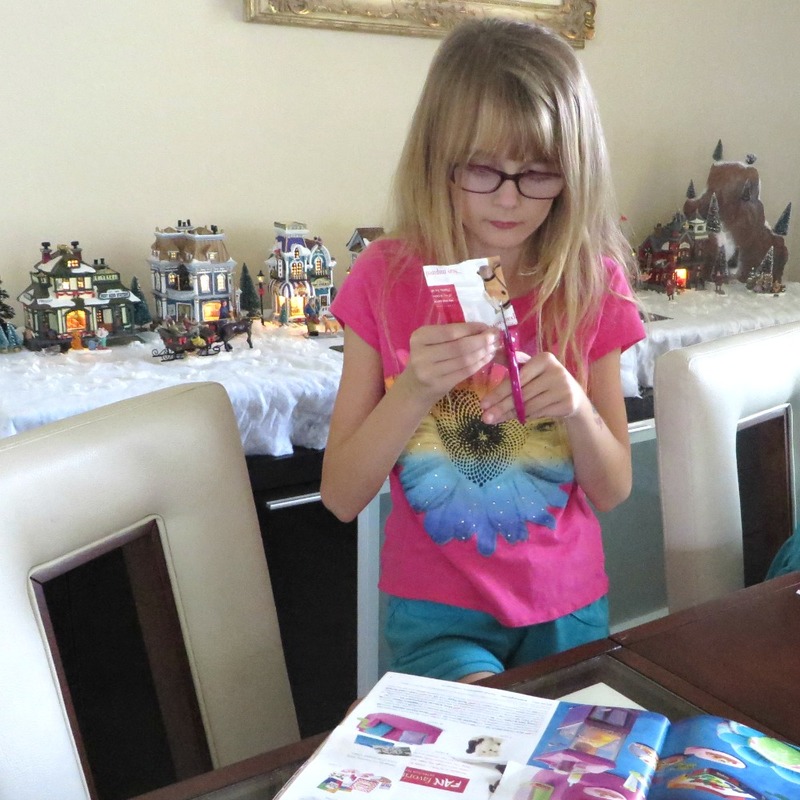 The book was really fun and the first thing my daughter did when Elfy arrived was to show it to him. 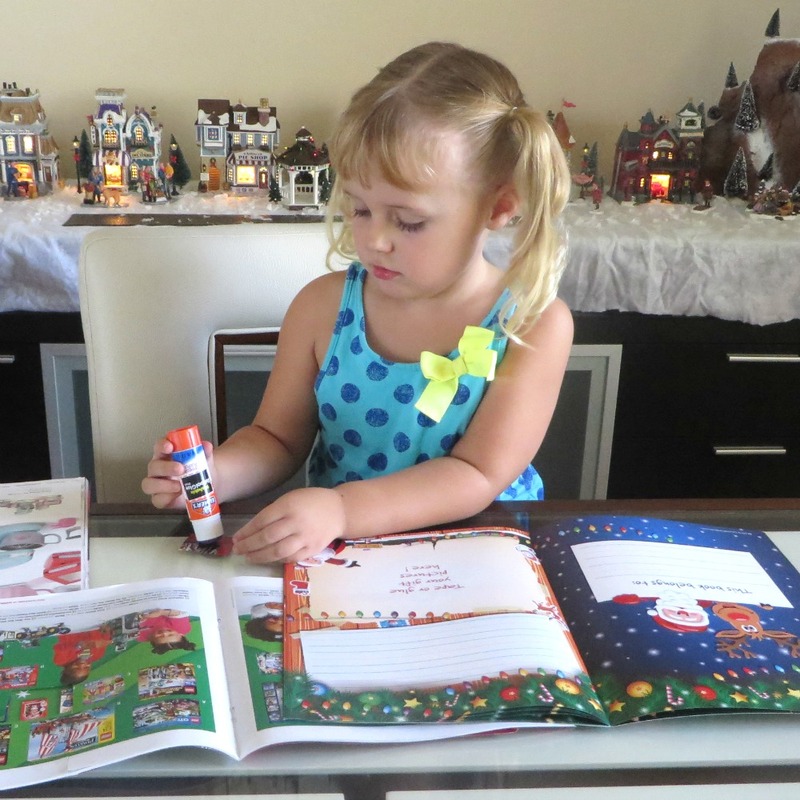 She literally stood in front of him and turned all the pages so that he could report back to Santa!